Ok...I'll give that a try. Hoping this will all work out so you can maybe do a mod for the 827 and 657. Sending 15Mb file to my email account to my self. For most people automatic classification will be enough i think. For the uplink speed i would suggest to set it to isp advertised speed. so you enter 3072 in the box. Ok sounds good. I think I'll make this a sticky. Care to do the mod for the 655 next? I can test that out. I've got another guy testing his 857 out now. If you do build the others, lets keep this thread going here regarding it. Sorry for the late reply. Im quite busy at work atm and for the next week also. i will do this by next week weeks end. Should be quite easy to do i think. Because they both use the ubicom distro. Sure you could test it. but there is always a chance to brick the device. I think there was a emergency recovery, but i have to check that. As long as you compile the FW using the same process, bricking should be null. Mine is working fine as well. 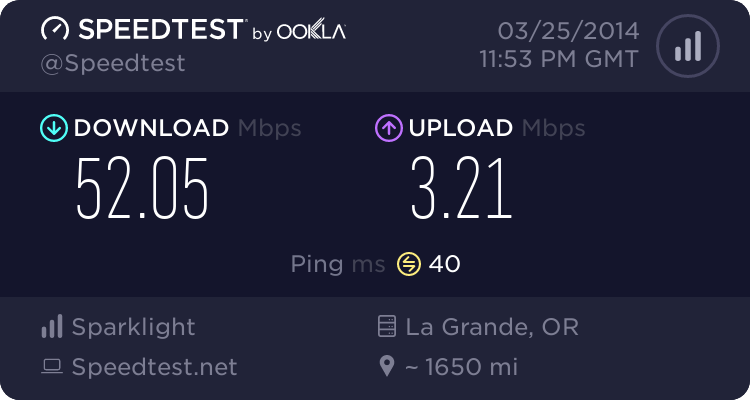 I had to keep Short GI enabled but I had to do that with the other FW, too, or else experience dropped wifi signals requiring a router reboot. And to confirm, as you were pinging, you sent something via email or to some place while the pinging was going on? I think this is a stable mod. 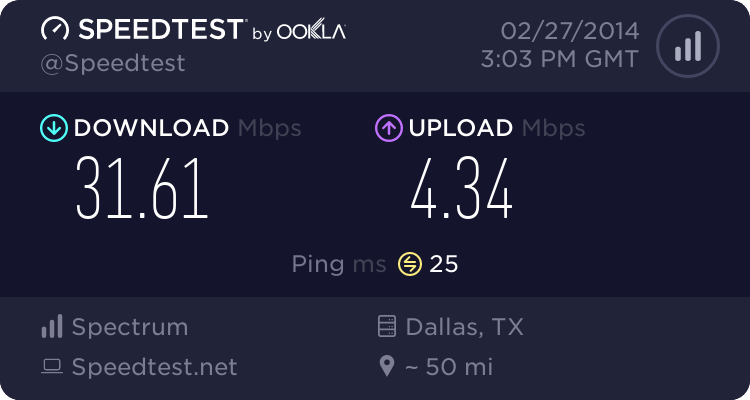 Your Short GI issue maybe surrounding WiFi congestion in your area. I've been leaving GI enabled on my routers now, however disabling HT20/40Mhz C0-Existence now if using single mode N only. Time time was during peak hours. 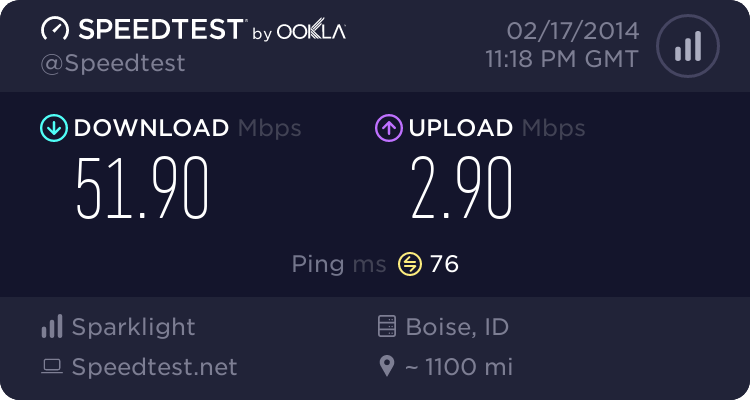 Upload Speed: 1880 kbps (235 KB/sec transfer rate) Gets up towards 2.5 then kicks down towards the end of the test. 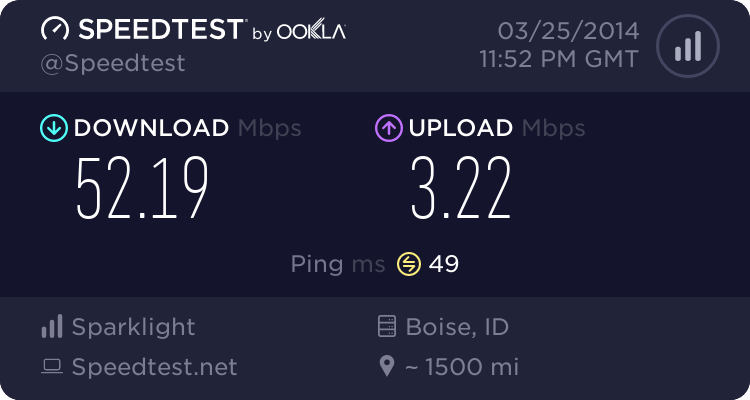 Upload Speed: 2909 kbps (363.6 KB/sec transfer rate) No kick downs seen. Emailing 15Mb file attachment via web mail. I think the Measured Uplink is too high. Because of that there is no headroom and ping spikes over 100ms. Try with 3072 again pls. Will do. Thanks for the corrective Uplink value. Maybe there are ways to tweak this so it gets even better. Will check on weekend when i have more time. We'll need to get this iron out so I can give details on how to use the setting. I presume fore now that manually setting the Uplink value should be at or near what users are paying for on there ISP uplink speeds? Not higher then that?